This book explores the archaeology of New York City’s borough of the Bronx by describing several recent projects that exemplify the range of current practice. 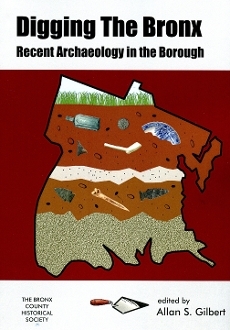 Readers will find in the first chapter a short history of archaeological research in the Bronx, and the next six chapters illustrate some of the ways archaeology has been conducted: field schools, public archaeology, cultural resource management, technical examination of recovered finds, and ethnohistory. Each of these chapters contains information about discoveries that have been made during the last decades, and the scope of their subject matter is wide-ranging, covering periods from the first colonial contact with Native Americans in the 1600s to the early 20th century. Narratives present not only what was found but also discuss the strategies involved in excavation, analysis, and interpretation that eventually yielded historical knowledge. The last three chapters explain how archaeologists in New York City are responding to the modern challenges of preserving and curating increasingly large quantities of archaeological finds, making archaeological information accessible to the widest possible audience using the internet, and conserving archaeological sites in order to protect them from destruction so the evidence they contain can last into the future. Using case histories of recent research in the Bronx, this book shows what archaeology can achieve and how it can fill gaps in our history or deepen our understanding of it.